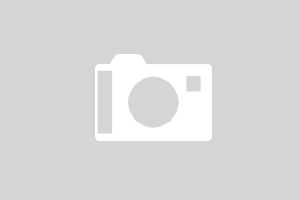 Welcome to 3-star Fletcher Hotel-Restaurant Paasberg. 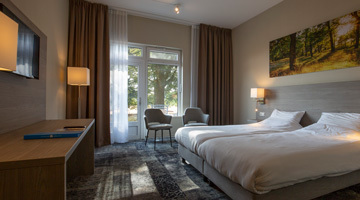 The hotel has a great atmosphere and is located amid the woodlands of Lochem in the Gelderse Achterhoek. Here, genuine hospitality is of paramount importance and we have time for everyone. Whenever you want immerse yourself beautiful nature and some peace and quiet Fletcher Hotel-Restaurant Paasberg is the perfect location. Its great variety of facilities will make your stay relaxed and comfortable. Enjoy the lovely garden with terrace and have a drink in the cosy conservatory, lounge or bar. 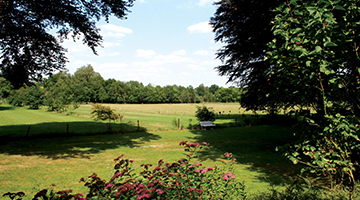 The hotel is located at one of the most beautiful spots in Lochem. It is surrounded by stunning and tranquil nature. Explore the beautiful surroundings by (e-)bike, which you can rent at the hotel. Discover the peaceful pastures, traditional farms and cosy small villages. After a day out you can enjoy rest while you having a cup of coffee and some homemade delicacy. In the evening let yourself be surprised by a delicious dinner in Restaurant Paasberg. The view from the restaurant in Lochem is one of gorgeous and authentic farming fields. 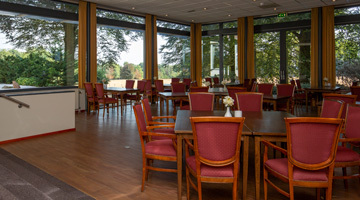 Fletcher Hotel-Restaurant Paasberg is also an ideal location for business purposes. Enjoy a complete and tasteful business lunch or dinner for you and your company. We will make sure you have a comfortable and unforgettable stay with us! Hotel-Restaurant Paasberg features an à la carte restaurant where you can enjoy delicious cuisine. Afterwards, you can enjoy a drink at the bar and there is the possibility to play chess or a game of billiards. 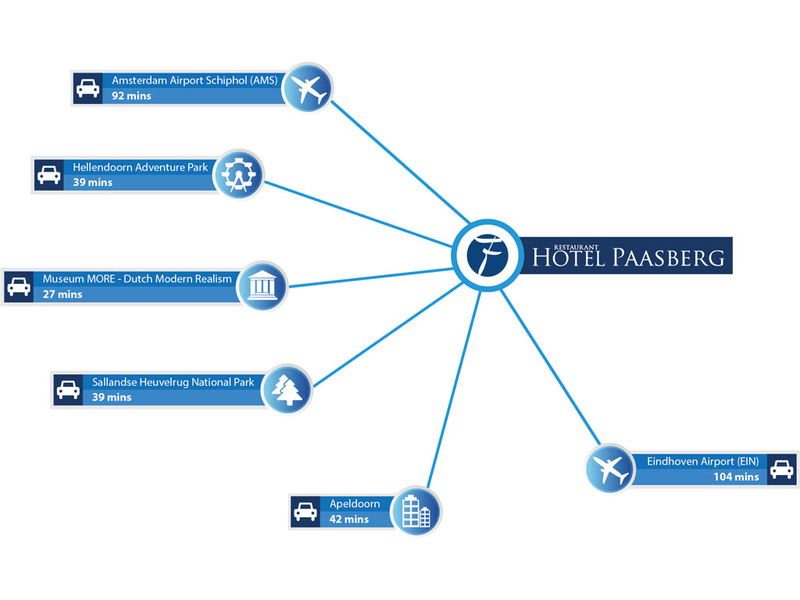 Hotel-Restaurant Paasberg is beautifully situated on the outskirts of the forest on the Paasberg. From the hotel you go right into the woods for a walk. The Achterhoek region is also ideal for cycling through the characteristic landscape.